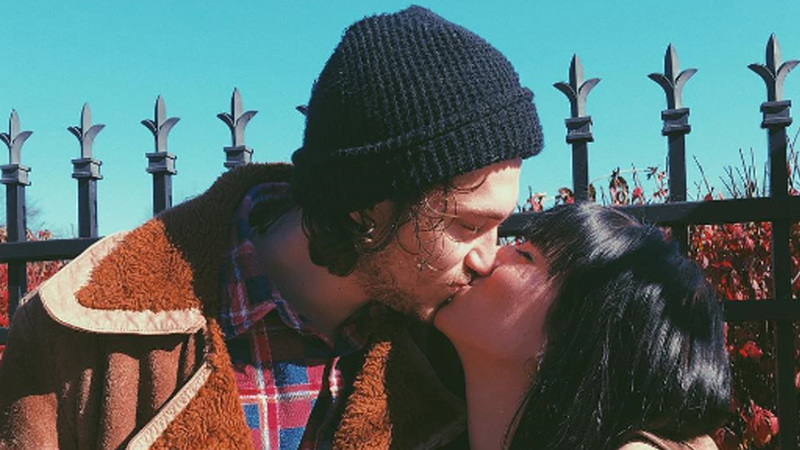 Miley’s 24-year-old brother announced that he’s engaged to visual merchandiser Stella McBride on Friday. He shared two photos, one of the couple kissing and looking super in love and another close up shot of the engagement ring, which appears to be a non-traditional stone set in a boho gold band. “She said yes,” he wrote. “My life has changed in so many amazing ways this year but the most amazing has been meeting and falling in love with you,” he continued. “I love you with all my heart and I cannot wait to marry you,” he concluded. Stella shared the same photos and another sweet message. “Love of my life – nothing has ever made me happier than saying yes to forever with you,” she wrote. “you are the sweetest soul and I cannot wait to be your wife,” she added. Braison’s siblings wished him well in the comments section of his photo. “Congrats broooo!!!! Love ya!” Trace Cyrus wrote. “LOVE YOU BRAIS!!! Congrats you guys,” Brandi Cyrus added. His mom Tish also wished him well on Instagram.